I didn’t grow up knowing much about missionaries. They were a far off lot, the things of bedtime stories and fairytales, and it was difficult for me to wrap my childlike brain around a person who would give up all they had to tell the rest of the world of the King. I knew the King and loved Him but this missionary life boggled my mind. As I grew up and my faith became my own, missionaries became a part of that faith. It wasn’t until my adult years a Lottie Moon Christmas offering resonated with me; I began to have an appreciation for missionaries and for their work across the globe. I have one that declares she will be a missionary one day, I will admit that in the beginning I tucked that away and just observed her. She isn’t vocal, pushy, or even very outdoorsy, all requirements I once thought were necessary for such a life. When I first learned the story of Nate Saint, Jim Elliot, Roger Youderian, Pete Fleming, and Ed Mccully via a low-budget movie with Ricky Schroder, I wept. For the first time the realization hit me that in fact the missionary life was the hard life. One of the wisest women I know, a woman steeped in Christ who has mentored and encouraged me for over a decade once said to me that the most difficult call from the Lord to a person is to be a preacher or a missionary. Over time I’ve come to realize she was spot on. After I learned the story of the aforementioned heroes, a story from the mouths of their families and the ones present when their earthly lives met their demise at the end of a spear. I learned that they could have used the weapons they carried, defended themselves against their attackers, an act they chose not to do but would be considered totally reasonable, and ultimately those who killed them did so because of a lie. I came to realize once more that those who are sold out to the King, their lives, our lives do not make a lot of sense to some people. 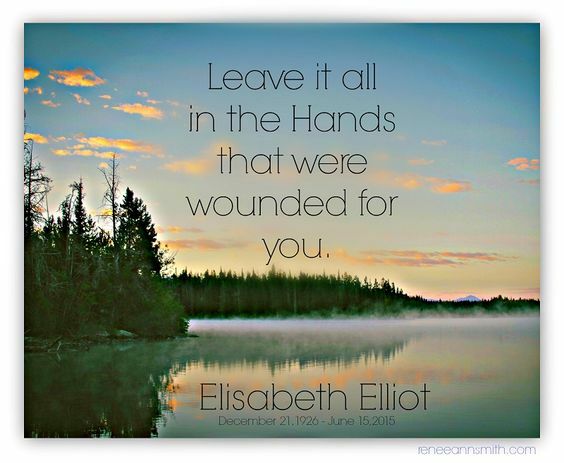 It blew my mind that Elizabeth Elliot would even consider taking her small children back to the very place where her husband was killed and live amongst his murderers. It was in fact, until I realized that when one walks with the King it can be mind-blowing. Driving to church on a random week day recently, spiritual inspiration struck me as clearly as the light and Jesus’ voice from heaven had flashed around Saul and struck him blind on the road to Damascus. Running late to a meeting that day and being fairly sure that no cars would be coming down the winding, hilly drive from the church at 8:15am, I allowed myself 45 seconds to slap on a couple of dots of cover stick, some powder, lipstick, and blush as I drove. As I came around the big curve of the drive I was straddling the yellow line and speeding as well. To my shock a truck was coming towards me in one of my lanes. I dropped the blush, jerked the wheel back to my right, and let off the gas. I easily avoided him and corrected my lax driving; it was not a near miss. We were both safe. But that’s when the light dawned. As we drive through life, we know the rules of the road. We pretty much follow them on the asphalt as well as on that Christian drive down the narrow path. But there are those times when situations set us up to choose failure, both literally and metaphorically. We allow thought patterns to begin that try to justify or excuse breaking the law. I’m really late for work. I have to speed or I’ll get in trouble with the boss. I’ll have time to make it through that yellow light – even if it changes red – before the cross street can start up. The same thing happens on the road with Christ too. We veer out of our lane of faithful obedience to Christ and excuse it as a little thing. Just a distraction. Just this once. Everyone else does. God will understand. Staying in our lane requires focus – on Christ – not on the things around us. It requires vigilance of our sinful hearts and thought patterns. It requires humbling ourselves under the mighty hand of God. It requires self-control. As you drive through your day, literally and metaphorically, stay in your lane, Girls. We honor Jesus and show Him our love through faithful obedience. Let’s not veer to the right or the left. When we live above reproach as scripture commands, we become the light of Christ to the world. The secular world is looking for us to fail, to give them cause to discount the Gospel of Jesus Christ. Let’s be vigilant and focused so that we do not cause a devastating wreck that leaves an unsaved life hanging in the balance. We have all experienced it. It can drive you crazy. The sporadic chirping of a dead smoke detector battery. I bet the sound is going through your head right now and you are remembering back to the last time your heard it. They never seem to go out at a convenient time. For some reason it always seems to be in the middle of the night. Of course, I inform him where he could find the replacement batteries at the house. So have you felt like this? Are you walking through a maze of smoke detectors? You know… stop one chirp and another pops up. It is like you can never get ahead. You feel like you don’t get anything accomplished on your “to do” list. You are run down and running on empty. Frustrated. Something is always pulling you back, getting you down. You worry, have fears. You get irritated. It’s driving you crazy and you feel like smashing something. So what do you do? Do you give in to your pity party or do you calmly put out the chirps? Are you spending time with Jesus recharging your batteries or are you letting everything build up until you just want to smash something? Really, what does smashing something accomplish? It may satisfy you for a few minutes, but in the long run not only do you end up hurting yourself, you hurt those around you, and you hurt your witness as a lover of Jesus Christ. Plus, you have to go out and buy new smoke detectors which takes more time, effort and money. Is this how you are feeling? Are you hearing the warning chirps? Is your battery running low? Batteries can only last so long. They are easily drained by over use. Just like a cell phone has to be recharged every day. You need to plug in and recharge. Every day. Today, let’s take some time to plug into our POWER source. Maybe put on some PRAISE music and sit down with your favorite beverage and God’s Word. Below is just a few verses to get you started. I am sure you can add more. Now spend time with the source of your power, pouring your heart out to him in prayer, letting him fill you up and recharge you. Joshua 1:8 This law must not leave your lips! You must memorize it day and night so you can carefully obey all that is written in it. Then you will prosper and be successful. Psalm 55:6 I say, “I wish I had wings like a dove! I would fly away and settle in a safe place! Isaiah 43:2 When you pass through the waters, I am with you; when you pass through the streams, they will not overwhelm you. When you walk through the fire, you will not be burned; the flames will not harm you. Isaiah 14:3-4 When the Lord gives you relief from your suffering and anxiety, and from the hard labor which you were made to perform, you will taunt the king of Babylon with these words: “Look how the oppressor has met his end! Hostility has ceased! As your time of recharging comes to an end, I pray that you start your day with a fully charged battery ready to face the fiery darts you know the enemy will be sending your way. Scott Martin is notorious for scoring things no one else in our family has. Once he won some bleacher seats from the television station that had previously resided at Talladega Superspeedway. He brought them home, perched them on our patio and would sit in them regularly. They were very ugly and I winced every time I had to look at them. He eventually sold them and they reside now at a friend’s tire store, I still wince when I see them, they are still ugly, but at least they aren’t on my patio. He has won countless tickets to events, we have never paid for tickets to the Monster Truck Jam, but he and my children have been multiple times. He usually wins a “family four pack” and since there are five of us, I always forfeit my ticket option. I have come to appreciate that I am the real winner, a quiet evening at home. He is forever receiving “swag” in the mail from folks: autographs and goods from names I am not even vaguely familiar with, trinkets that bear some logo or advertising on it, original art, and all manner of music paraphernalia. We never bought a ticket to a comedy event the entire time we dated. Then there was that prize money from Wheel of Fortune that we used to adopt our youngest child. He has a knack for things like that. If I truly believed in luck I’d say he got a hefty helping of it. I on the other hand do not recollect when I have ever won a thing. I am accustomed to his winnings, so when he mentioned he had received some tickets to the upcoming Ice Show I was not at all surprised. Throughout the performance the filled arena would be shown items pulled from a treasure chest that would segue into the next act. All treasures, but none the greatest treasure. At one point I literally laughed out loud because, Scott Martin had been repeatedly assaulted by the various extremities of the approximate six-year-old Woody-hat-wearing boy seated to his left. Scott would adjust, lean over to me and matter-of-factly say, “This kid has hit me like fifteen times.” At the exact moment I looked, said Woody-Hat-Wearer was upside down in his foldable arena seat. We remember those days, when our six year-old was upside down in his chair kicking the seat occupant next to him. For years we would “bookend” our kids so as to avoid a cowboy boot to a stranger’s eye. At one point in the performance Scott leaned over and said, “That looks like aquarium line dancing.” If I had’ve been drinking one of those fifty dollar Cokes you can only get at such events, I’d’ve for sure spit it onto the seat occupant in front of me. I am not entirely sure the limited gravity of water would even give way to line dancing, but I didn’t argue, I just laughed. We watched the parade of stars, found ourselves talking amongst ourselves about the costumes and at times focused on the people around us more than the ice skaters below. Our nose-bIeed-section seats afforded us little in the way of seeing details below. As I was people watching, I noticed a couple of Daddies who had nodded off, a few other teenagers, who like my own knew every word to every song sung, despite informing me prior to the beginning of the show that they might be “too old for this.” I noticed Mamas with phones, kids with cotton candies and cell phone selfies galore. A few rows ahead I spotted a curly headed little girl. She was fun just to watch. It was clear to me that her favorite princess was on the ice as she began to jump up and down. She pulled her Mama’s shirt and pointed wildly at the princess-dress clad woman skating below. As her favorite princess would randomly wave to her adoring fans the curly headed girl began to shout with adoration. She waved wildly screaming, “Look here! See me!” When the Princess skater whizzed by without a personal acknowledgement the curly headed girl picked up her petitions. She held the dollar store glow sticks her mama had given her. She waved it so fast the pink and orange neon sticks looked like a blur. I feel certain that the Princess never saw her Number One Most Adoring Fan, way up high in those seats, waving that literal Neon sign. In that moment, The King spoke. He reminded me that He is never far away from us. We don’t have to yell, “Look here! See Me!” to get His attention. We don’t have to wildly wave cheap glow sticks for him to focus on us. He is near and we need only say His Name. As the show came to a close the “Greatest Treasure” was revealed, and it was indeed love. As we made our way out of our seats Scott Martin said over the hum of the people, “Love has a Name, and it’s Jesus.” He may not have been exactly right about the line dancing in an aquarium observation, but he got that one right for sure. Love does have a Name and it is Jesus. Happy Valentine’s Day to each of you! No matter your romantic connections or lack thereof, may you know today in your heart of hearts how deeply you are loved by the Father ! This Repost seemed like a useful thing to share today! Hope you enjoy and find encouragement! Step up and show love to those around you today! Make someone’s day! Not a word we want to have used to define us. I’m thinking of the those cold sweat dreams where you believe you’ve arrived at work without your pants on – exposed! Or of politicians and power brokers – so many exposed for so much lately! Or of the word exposé – an article that gives shockingly lurid details about someone we never dreamed would’ve behaved in such a way. But sometimes being exposed is good. Don’t believe it? How about photographs? If film was not exposed to light it would never retain the image we cherish and reminisce over so fondly. And plants. If plants were not exposed to sunlight they couldn’t feed themselves or grow or bear fruit. And our bodies. Lack of exposure to sunlight can lead to a Vitamin D deficiency. Being exposed to the light can be very beneficial. This was proven to me in an instant one bright sunny afternoon. Driving to Wal-Mart I got stopped by a red light. As I glanced in my review mirror at the car behind me, the sunlight struck my chin perfectly and shocked me into distraction! There on MY chin were a half-dozen hairs clearly visible in the illuminating sunlight. Now I am not that old and was not prepared for what I saw. Time seemed to stand still as I tried unsuccessfully to remove those hairs with my bare fingers. My moment ended with the car behind me honking to break me out of my distractedness. I made my way to the store and beelined it straight to the lighted, magnifying, make-up mirrors! I didn’t have the money that day, but put it on my wish list and am now the owner of a well-used lighted make-up mirror. My point here? I was going happily along in life feeling I was doing just fine. But when my world was illuminated, I could suddenly see what all those around me were seeing each time we chatted. Light had exposed my flaw. Now I could, and do regularly, correct it. Scripture actually talks about this! Not my hairy chin, but how light exposes things and helps us. We were once darkness. But we are commanded here to walk as children of Light. We’re told we’ll bear good fruit if we stay in the light just like those green plants do. We’re challenged to separate ourselves from dark deeds and to allow The Light (notice it was capitalized in scripture!) to expose the flaws within us. Yikes! That can be so painful. BTDT! But it is so necessary. I encourage you today to take your heart and mind and attitudes and will and emotions before the Light. Allow the Lord to use Scripture to divinely illuminate those areas that need a little plucking done! “But if we walk in the light, as he is in the light, we have fellowship with one another, and the blood of Jesus, his Son, purifies us from all sin.” 1 John 1:7. Aunt Sis, she has another name that sounds nothing like Sis but for reasons long lost to family lore she became Sissy some sixty plus years ago and the name stuck. I grew up knowing her as Aunt Sis. People in my family tend to earn new names from their given ones. I am Mamie, Mame for short. Only the closest to me call me by that name. My niece Ellie Grace (She is called Eggie) calls me Mamie and while it is intended to be a two syllable word, she says it with such a Southern twang and drawl that it has more like eight syllables. My Aunt Sis can spin a yarn like nobody I’ve ever known, I used to beg her to tell me stories when I was little. She could transport me to a time when the adults I knew were children. They were wild and free, romping about thickets of pine trees. Those conifers were so densely packed they left a carpet of pine straw on the ground year round, beneath the carpet was the richest and darkest dirt. One day the conifer carpet would compost down into more beautiful black dirt, thick with nutrients and soft as biscuit dough and excellent for mud pie makin’. Shoes were rarely worn, and storm weathered saplings would serve as pretend horses for pint size riders to gallop upon. There is a legend that as a baby my Mama was “thrown” from one of those hoses. In a rodeo type fashion Mama was placed atop just such a tree by her older sister, my Mama wasn’t a very good rodeo Bronco Buster because she promptly fell straight to the ground. Sis told me that story. I’d venture to say she told me that story multiple times to halt my incessant story requests. She told me the story of Ol’ Mrs. H and her buttercups too. There is not a spring that goes by that I do not recollect that story and the adventure that followed it. Mrs. H was an older woman in our small church growing up, in fact I hardly remember her, by the time I made any connection to her at all she had long since moved away from her sprawling estate. Her house was ginormous, or so it seemed, filled with mystique and legend it seemed to be bursting with old stories. It sat on the left of the Highway to Home but come the first of spring it wasn’t the house you noticed but the Buttercups that engulfed the grand old home. The rest of the world refers to them as daffodils but Sis called them Buttercups and so do I. I can still smell the sweet spring air, their aroma overpowering. As far as the eye could see all around that long abandoned antebellum home with its huge columns. A sea of yellow. Hundreds, maybe thousands of Buttercups lined up in perfectly straight and neat rows after row, as far as the eye could see. Bulbs planted decades before when the old house was alive and well. Sis told about the old lady’s brother, having been born a little different, he struggled with the day-to-day, but he liked to plant and plant he did. Perfectly straight rows of buttercups, acres and acres of them. One spring Sis got permission from the Old Lady to have some of those buttercups. We set out on an Adventure of a lifetime. We got in “MIckey’s Bus.” Her husband drove a suburban before Suburbans were cool and she had aptly named it “Mickey’s Bus.” Its seats were covered in fabric that vaguely resembled those rag rugs that used to be popular. We drove the few miles over to the Highway and dug up several clusters of those Buttercups. We howled with laughter and giggled with glee as we went about the task of procuring those plants. Sis would tell us stories of the house and legends long since dead. We traversed the rows of Buttercups and unbeknownst to me at the time memories were born that day. Memories that still make me smile, long after that grand ol’ house was replaced by huge metal warehouses in the name of progress, I’ve often wondered if the warehouse worker people know that they are standing on what was once that magnificent sea of yellow. There have been a few survivors from those original buttercups, I know where they reside. The Highway to Home split the estate and at the time a small section became a parcel or private property. Sis pointed them out me once some thirty years ago and and told me who the Planter would of been. I point them out to my children now, as the only reminder of that Sea of yellow planted a century or so ago, a remnant that remains unassumingly on the other side of the Highway to Home. In the moments they are being made those memories rarely seem significant. I suspect that lovely cool day as we meandered down the road in an old white suburban, laden with sweet smelling flowers, shovels and picks, if you had told me that particular day would be one of my favorites and stand out in my memory and as a precious one at that, I likely would not have recognized it as such. Memories and stories that marked me and help to shape me into who I am. I love to tell a story myself. I find myself on the other end of the incessant pleas for a story. I often tell my very own niece Eggie the stories of Rabboni. I told her the first Rabboni story as we sat on the beach many summers ago. I wrapped her in a towel and spoke just loud enough for her to hear. I waved my hand toward the water and its particularly rough waves that day and told her of His friends afraid on the sea. As the waves rolled in and the shadows grew long I told her how Rabboni walked on the rough and tumultuous sea, one very much like the one we were sitting beside. I told her how He enjoyed the company of fisherman; we giggled when we thought of how fishy his friends probably smelled. Most of all I tell her how He loves people. She loves to hear the stories of Rabboni and I love to tell stories of Him. Hebrews 12: 2 says that He is the author and perfecter of our faith. I am so thankful that He is writing my story beautifully and included sweet smelling Buttercups to serve as reminders of His faithfulness and Creativity. I am one of those children that was gifted with a very uncommon unusual name. It was not a popular name. It was not a family name. It was not in a baby book of names when I was growing up. I couldn’t go find cute little items with my name on it. I had to have a company research my name for the meaning, and I still have the card I received. My name is often mispronounced, and even I could not pronounce my own name when I was little. When I was young, as the story is told by my grandparents, I would call myself BI (bee-eye) and would argue with them that they were not saying my name correctly. I asked my mother how she came up with my first name when I was thinking about writing this blog post, and she said she came up with it one day in church. I wonder if the preacher was preaching on Berea in Acts that day? My middle name was still up for grabs. When I was growing up I came across a piece of paper where my mother was trying out middle names. On the list was Ruth – one of my favorite books of the Bible and part of my Dad’s mother’s name, Emma Ruth. The story from my Dad was that he wanted to name me Angela. Mother settled on Angelique after she heard the name in a movie. But she didn’t like the spelling. So my given name is Brea (bree-uh meaning – noble, strong, virtuous, hill), Angelic (Ahn-zhay-Leek meaning – of the angels). I am often called Bree or Baria. I finally came to the point I would answer to anything close. The naming of a child is a very important task for parents. This name is heard by the child their entire life, unless they get it changed in court. Nowadays many parents spend hours/days/months picking out the name their child will carry. Many look in baby books for the meaning. Some chose family names. Some choose popular names. Some take names and spell them differently. Experts believe that the name of a child will play a major role in a child’s life. It will shape their future, character, success in life and personality. Jabez in the Bible went around with a name that meant affliction or pain. Naomi wanted to be called Mara which means bitter. (Ruth 1:20) Asher means happy or blessed. (Genesis 30:13) Esther means star. In just the same way, the names of God are important. God’s names tell us about his character. This past fall, Pastor Kevin preached a 12-week sermon series on the Names of God. Some of his material came from Tony Evan’s book The Power of God’s Names. He suggested we get a copy to read if we wanted to dig deeper. So I did. And I read right along each week with the name Pastor Kevin was preaching on in the series. There were so many nuggets of insight and revelation about the character of God in the book and through the series, but Pastor Kevin couldn’t cover all the names listed in the book. So I have taken the time to go back and read the ones that he didn’t cover. The book ends with the name Immanuel (God with us). Elizabeth (“my God is abundance”) and Zechariah (“Yahweh remembers”) and Mary (“sea of bitterness, rebelliousness, wished for child, loved or beloved”) and Joseph (“he will add”) didn’t have to wonder about what to name their new little babies. God, through an angel announcement, gave Zechariah, Mary and Joseph the names to use. When it came time for Zechariah and Elizabeth to name John (“Yahweh is gracious”), their friends and relatives had their own ideas. In Luke 1:57-63 you can read the story. Jesus is more than just a name. He personifies all of the character of GOD in human form. Do you think that Mary and Joseph remembered the prophet Isaiah foretelling about Jesus in Isaiah 9:6? Tony Evans looks at these descriptive names of Jesus in the last chapter of his book. The names in Isaiah 9:6 give us “insight into His character and mission” and “puts on display everything there is to know about God.” Jesus also has other names – Redeemer, Deliverer, Good Shepherd, King of king and Lord of Lords and more. He fulfills the names of God: Elohim, Jehovah, Adonai, Jehovah Jireh, Jehovah Tsaba, Jehovah Shalom, Jehovah Rohi, Jehovah Nissi, Jehovah Mekoddishekm, Jehovah Rapha, Jehovah Tsidkenu, El Elyon and El Shaddai. • Wonderful Counselor – Jesus “perspective is infinite. His resources unlimited. His experience includes a lifetime on earth enduring the same trials and temptations we face.” Jesus is the one we should turn to when we need perspective on what we are dealing with in life. He is the counselor that has all the answers. There is nothing we will face that he can’t see us through. • Mighty God – “Jesus never fails. He is faithful. All the power of creation stands behind His promise to provide and to care for us…Might is more than strength. Might is the ability to use strength strategically for the good of others.” Jesus is all God. He is Immanuel God with us. All the power behind the name of God can be used by Jesus. • Everlasting Father – “Jesus is Everlasting.” In Revelations 22:13 he says “I am the Alpha and the Omega, the first and the last, the beginning and the end.” John 1:1 tells us “In the beginning was the Word, and the Word was with God, and the Word was God.” John 1:14 “The Word became flesh and dwelt among us. We observed his glory, the glory as the one and only Son from the Father, full of grace and truth.” John 17:5 “Now, Father, glorify me in your presence with that glory I had with you before the world existed.” In John 10:30 Jesus tells us “I and the Father are one.” Jesus is eternal and if we are saved and acknowledge Jesus as our Lord and Savior we will live with him for eternity. 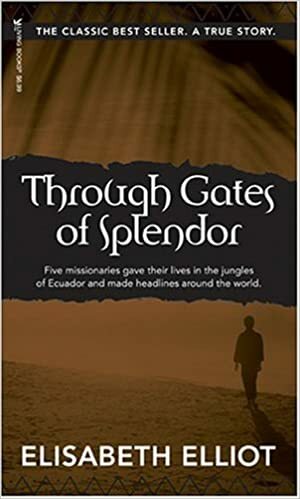 • Prince of Peace – We “believe that peace is the absence of conflict. Yet Jesus gives us so much more. He promises peace that transcends our circumstances. It invades the inevitable conflicts that naturally arise in a sinful world. It makes perfect sense to be at peace when all is well. But Jesus, who is the Prince of Peace, promises us a peace that transcends understanding (Philippians 4:7).” We all desperately want the kind of peace Jesus offers. There has never been nor will there ever be a name greater that the name of Jesus – our SAVIOR. His Name is above all Names and everything is under his feet. It is at the name of JESUS every knee will bow. So who do you need Jesus to be for you today: Your Peace, Your Shepherd, Your Messiah, Your Savior, Your Healer. He is waiting to be these and more for you. Just call on HIS NAME! CD’s of Pastor Kevin Hamm’s sermon series on the Names of God can been found in the GFBC Encouraging Word Book Store. “What a Beautiful Name” words and music by Ben Fielding and Brooke Ligertwood. For the last few years our pastor has encouraged us to pray through December and January and seek a word the Lord was laying on our heart that would be our focus for that year. My first year was Life. I was struggling with an unseen health issue and felt I was dying. Literally and truly. As I claimed the word Life for that year and sought to walk in faith, the Lord brought me to a healing answer in April, and I spent the rest of the year building strength and fully living again. Then there was my word Grace. Specifically the Lord impressed upon my heart that I was to show grace to my husband! That may not sound hard, but I must confess I was more eager to show grace to strangers than to my husband. He was a Christian, he knew me, he was committed to me,… I held him to a standard no human being could meet. I was unjust, unkind, and completely lacking in grace toward him that January. But throughout that year of God working grace in my heart, and me intentionally seeking to show grace to my husband, our life has taken a sweet turn. Grace offers sweetness to those around us. In this tough world we each need all the grace we can get. Am I willing? Willing to surrender? To surrender myself, surrender my will, surrender my image, surrender my inclusion in Christ if that’s what it takes for the redemption of another? I must truthfully say, No. Not at this point. The Lord is beginning this work of surrender in me. But I’m not a completed pot of clay in His hand. I’m the lump being molded and shaped upon the Potter’s wheel, and squashed down and built up again until I reach the shape of surrender. What is the shape of surrender, I wonder? Is it flat? Prone? Facedown? “For to me, to live is Christ and to die is gain.” Philippians 1:21. That is surrender. Will I reach that point of surrender? Will you? Find your word from the Lord for this year, be it a single word or verse. Seek the point of focus God has for you this year. Make it your aim to allow Him to work it out in you this year and to live it out at every opportunity. Lay yourself out before the Father daily as you hear from Him in His word. Allow His shaping process in your life. Forfeit your queen at the feet of The King!